A while back I wrote an article about how to prevent hurricanes. 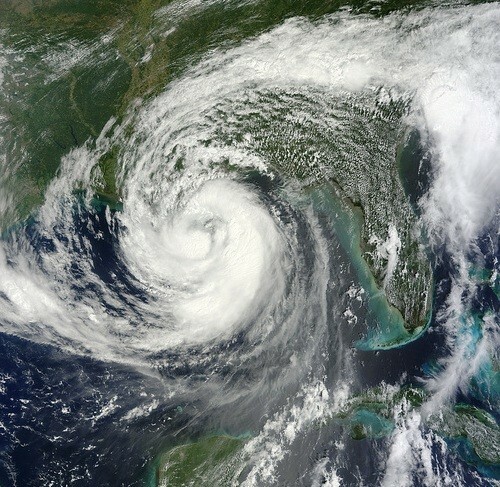 It’s been a really popular post lately, and for good reason — Hurricane Isaac was recently causing a swath of destruction along its path through the southern U.S. The last idea was actually somewhat viable, though. It could make a difference in so many ways. Obviously we wouldn’t cover the entire Sahara desert with solar panels, but we’d have to make only a something-eight percent difference to improve the current status quo. And as the post explains, this would reduce global warming AND save money from hurricane damages AND be a clean, green, unlimited, renewable energy solution. So what’s the problem? All we need is appropriate funding (and by appropriate I mean a LOT, like billions of dollars), but it would pay for itself many times over. There may be some people who worry about tampering with Mother Nature, and there are valid concerns to address, but we’ve been doing it for years already. If things do change for the negative somehow, people will just blame labels like “Global Warming” and “Climate Change” (partly because it gives them political power and enables them to raise taxes with the cleverly named “Cap and Trade”, but I’d better not rant on that or I will surely digress). Besides, there are solar panels already installed in the southwest U.S., and nobody complains about that changing the weather. It’s important that we focus on the key initiative here, and that is to solve numerous global problems at once. Well, that and make billions of dollars in profit. But as the saying goes, it takes money to make money. And it takes money to save the world, unless you’ve got super powers like Superman. However none of us are Superman, and as far as I know, no one on the Buffet o’ Blog staff has any of the super powers of Superman (or we’d know, because it would be awesome to use them). So we need investment funding, which is another way of saying “send us your money”. We’ll send you an official certificate saying you contributed to saving the world. Plus you’ll feel all warm and toasty inside, and you’ll help extend the life of the Earth, and you can’t put a dollar value on that.